Pictured (L-R): Gord Bamford, Robert Ott. 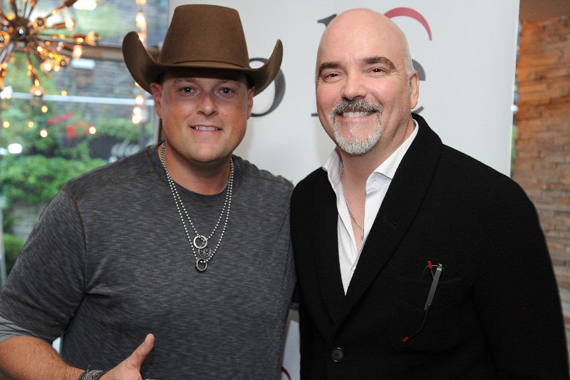 ole has expanded its worldwide co-publishing deal with 19-time CCMA winner and 2013 CMA Global Artist of The Year country singer/songwriter Gord Bamford. The deal extends ole’s previous co-publishing agreement with Bamford for future recordings and gives ole control of all co-publishing rights to Bamford’s 2013 album, Country Junkie, as well as his as-yet-untitled 2016 album. Bamford released his first album, God’s Green Earth, in 2001 and has since recorded a total of seven albums and racked up six Top 20 tracks on the Canada Country chart, including the No. 1 hit “When Your Lips Are So Close,” which has also been certified gold. He is a 19-time CCMA Award winner, including two wins last year for Male Artist of the Year and Single of the Year. He has also been nominated for three Juno Awards and will compete for six CCMA Awards this year, including Male Artist of the Year, Single of the Year, Songwriter of the Year, Video of the Year, and Record producer of the Year as well as the 2015 Fans’ Choice Award. Current ole writers include Rush, Timbaland, Tyler Farr, Josh Dorr, Gord Bamford, Brett Jones, Dave Turnbull, Jeremy Stover, Marty Dodson, and Ian Thornley. ole has ongoing ventures with Last Gang Publishing, Roots Three Music, Jackoby Publishing, and most recently, ole-Bluestone Publishing, ole’s venture with global hitmaker Timbaland. ole’s legacy catalogs and writers include Max Webster, Coney Hatch, and Ian Thomas.